Application: Hotels, Bars, Ballroom, Villa, Table Top, Ceiling, Saloons,Etc. Mother of Pearl come in tile form. It will be use for highlight or decor purpose. Hand-inlaid genuine natural capiz shells tiles that a rich and aesthetic look. A TOUCH OF LUXURY AND GLAM! 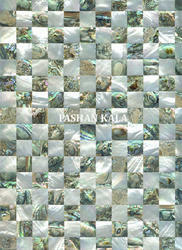 We bring forth a premium range of Mother Of Pearl Border Tiles. 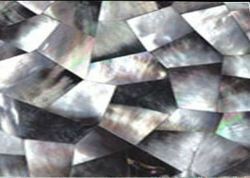 Our Mother Of Pearl Border Tiles are available in different sizes and colors. These Mother Of Pearl Border Tiles give an elegant look to any place without being much flashy. Our Mother Of Pearl Border Tile are available at economic price.